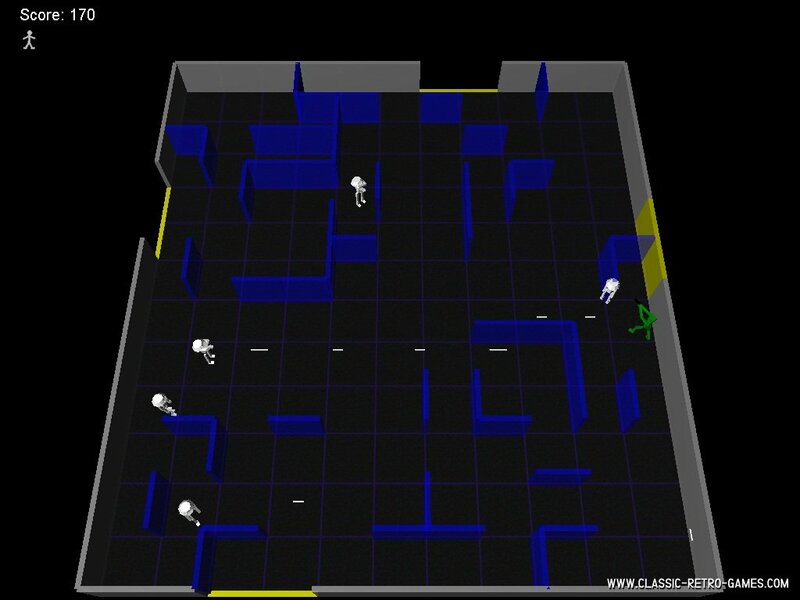 This is a remake of the classic Berzerk but unlike its original this version is in birdview. The gameplay has stayed the same however so this adds a whole new feeling to the game. 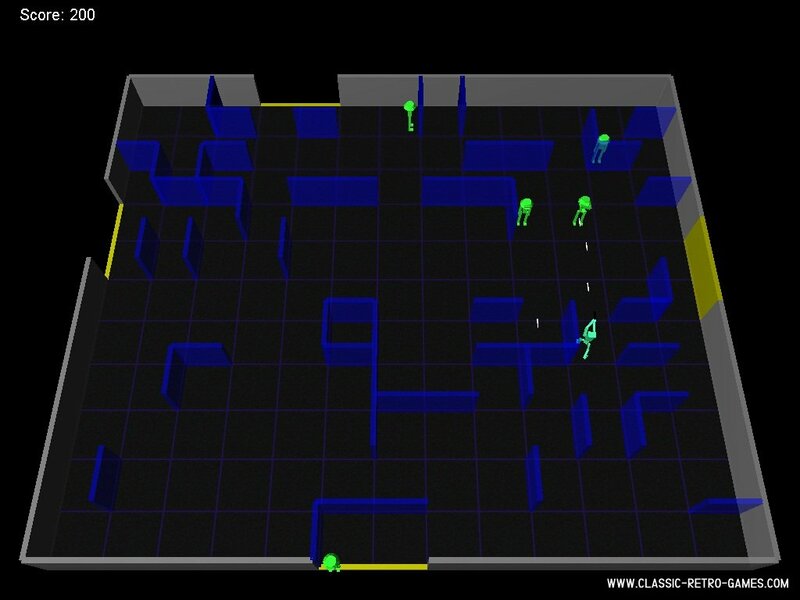 The game has the normal 'arcade' mode in which you can walk through the maze killing robots as you go. But it also has an 'arena' mode for two players in which you'll both have to kill as much robots as you can in 2 minutes. Lotsa fun! Download and enjoy! Currently rated: 2.3 / 5 stars by 12 gamers.